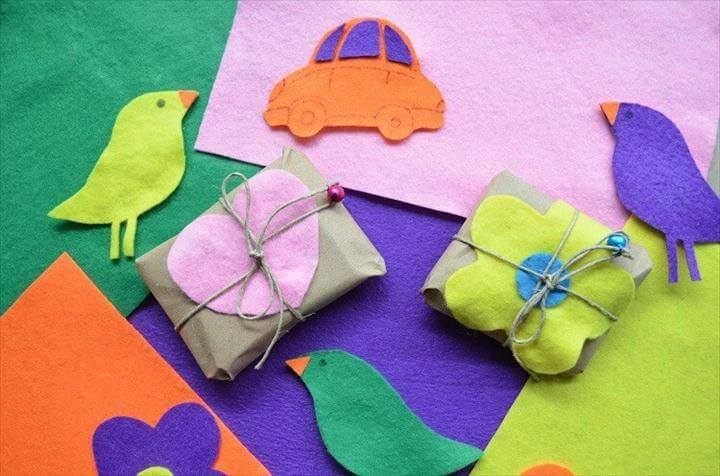 In today’s world of pollution and non-ecofriendly environment, we really need to focus on some ecofriendly ideas in every field of life. 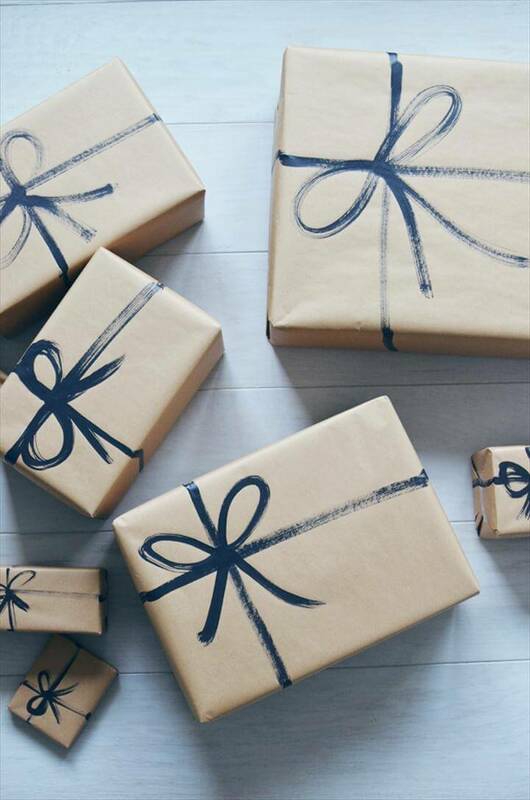 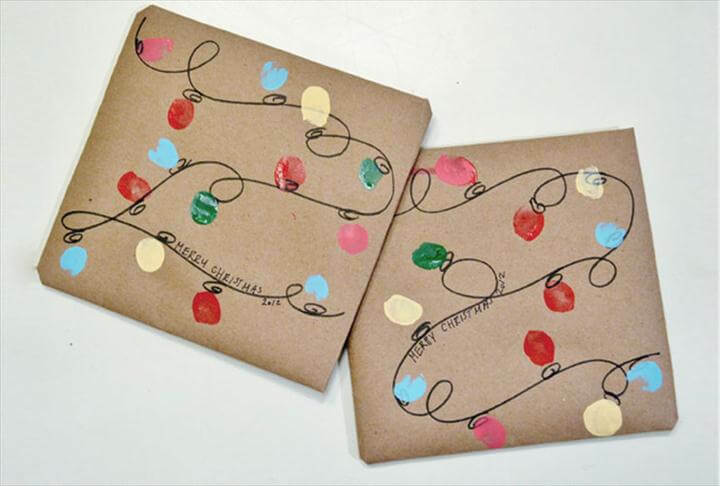 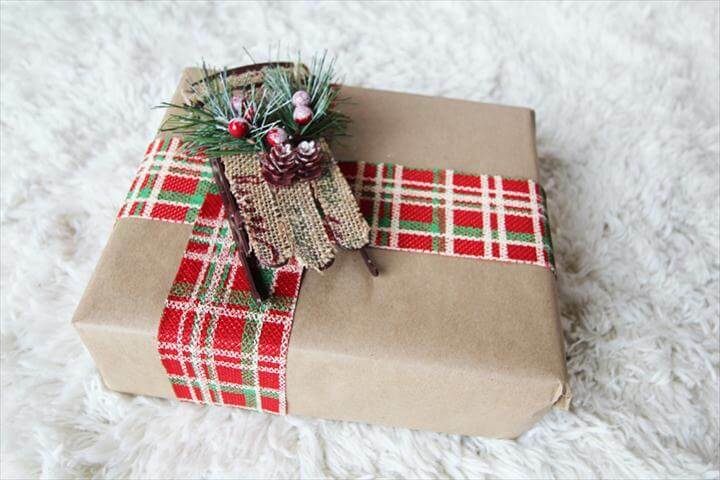 Here we will try our best to give you some interesting 30 DIY Eco-Friendly Gift Wrapping Ideas. 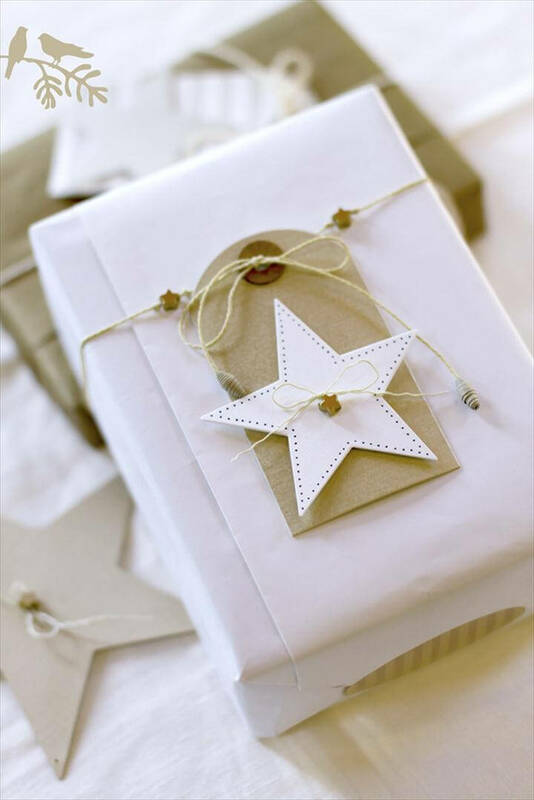 All these projects will help you wrap gifts beautifully and surprise your family and friends with your creativity and also save the environment by using material that is not dangerous to the nature. 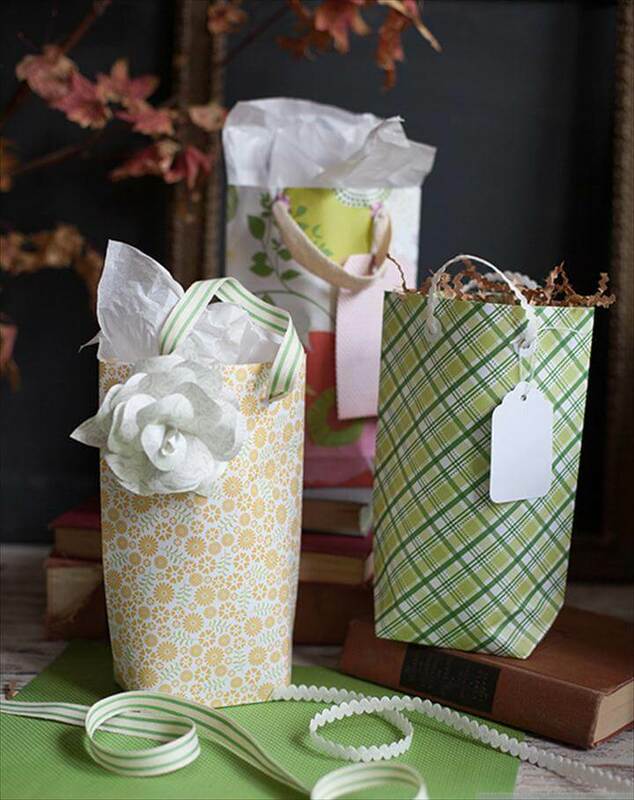 The first project that we have here is gift wrap made with the most commonly used crafts these days which is felt sheets. 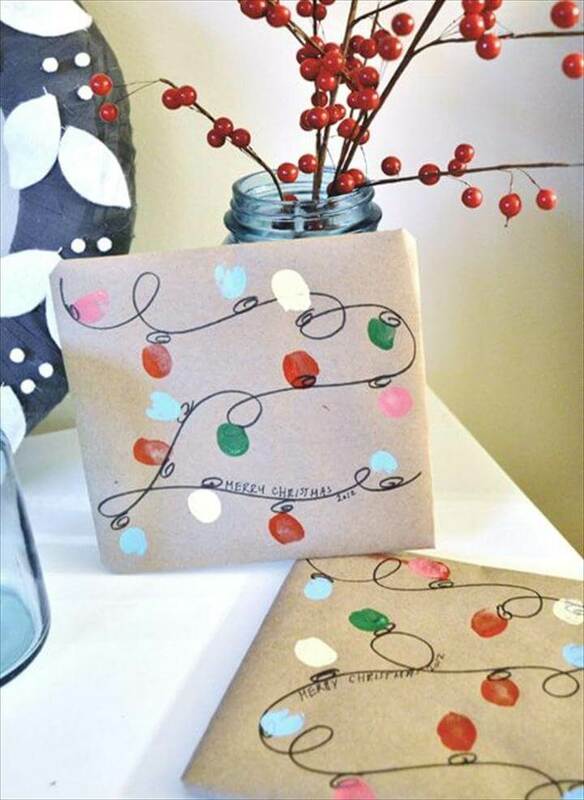 Also you can add some light to your gift wraps like you can see in this next project. 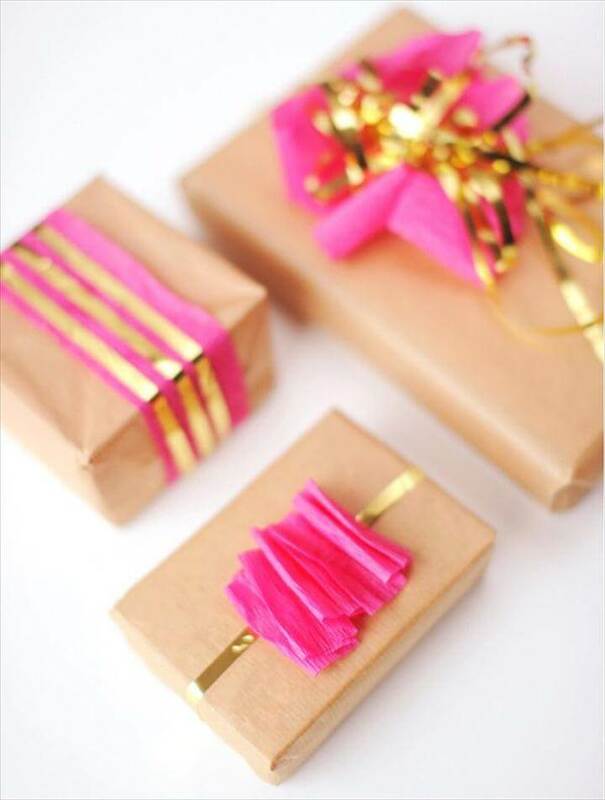 Besides this some gold color will definitely add some spark to your gift wraps. 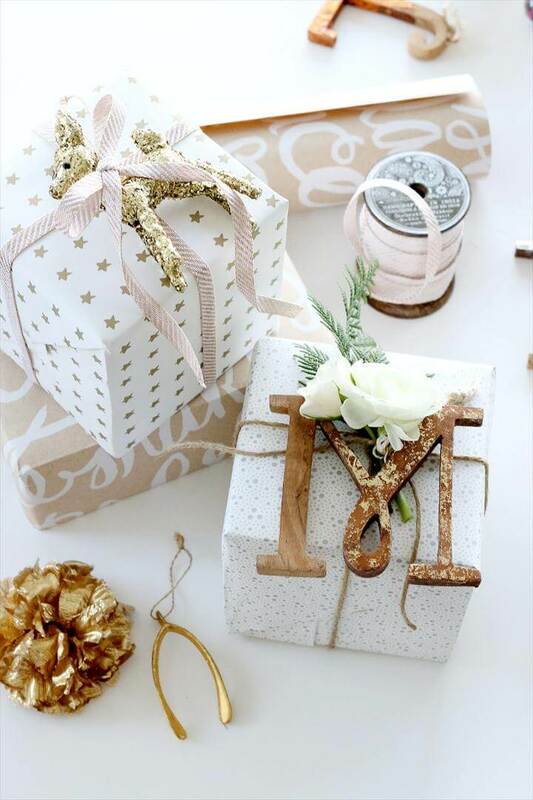 This gold color can be in form of a golden ribbon or gold foil as you can see over here in this project. 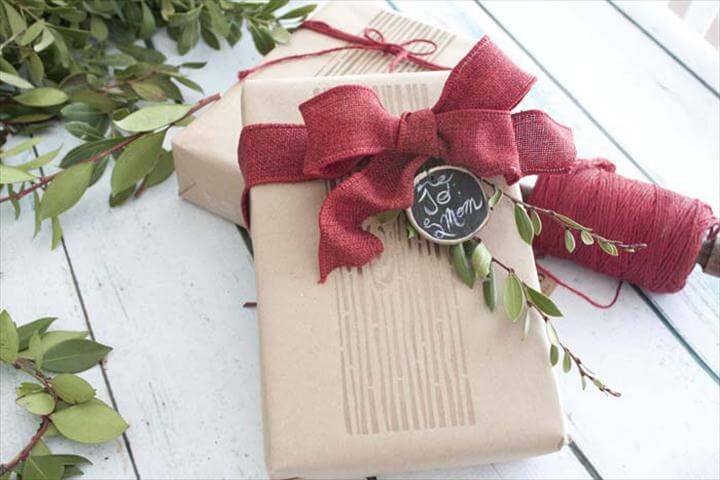 Grandma’s favorite laces have always been very trendy and classic so here is an idea to decorate your gifts with the lace washy wraps that can make your simple present shine like anything. 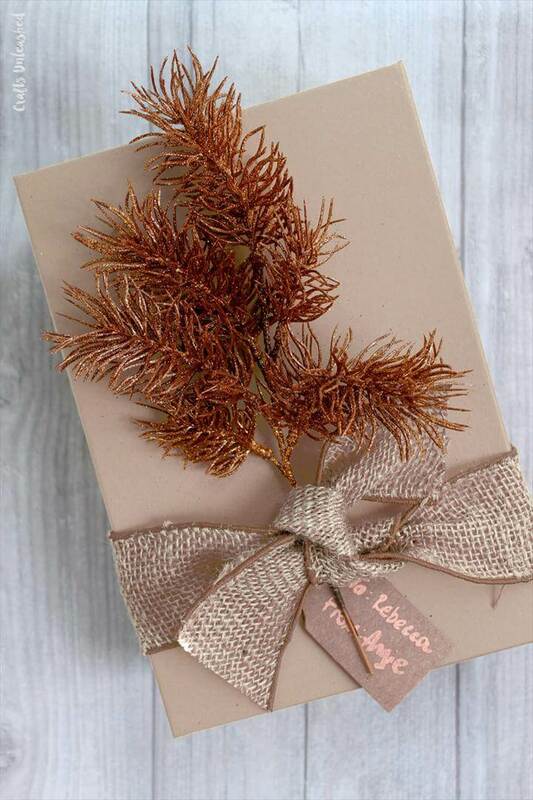 Copper is something that has not only been very cool to play with but also comes in different forms such as dry copper leaves which can help you decorate your gift items in the most exciting way possible. 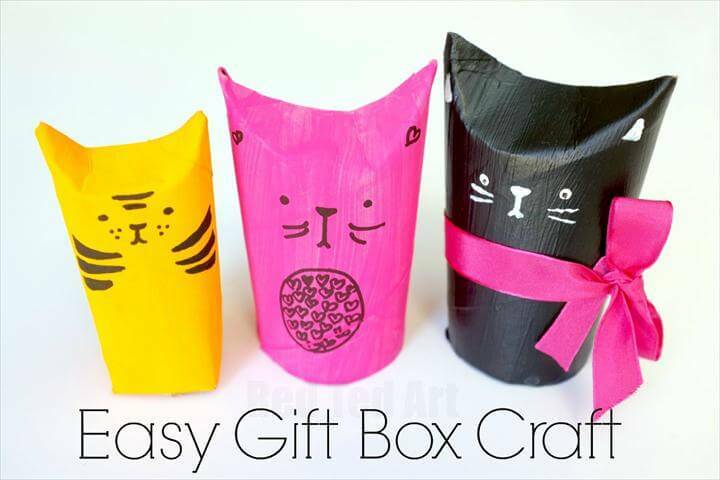 Try doing some artwork along with come copper to decorate your gift items. 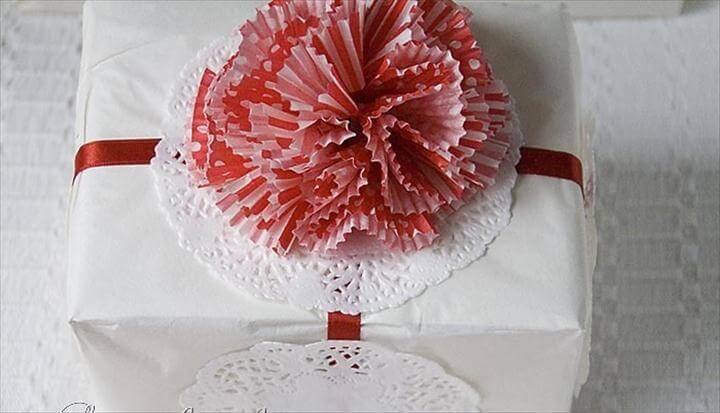 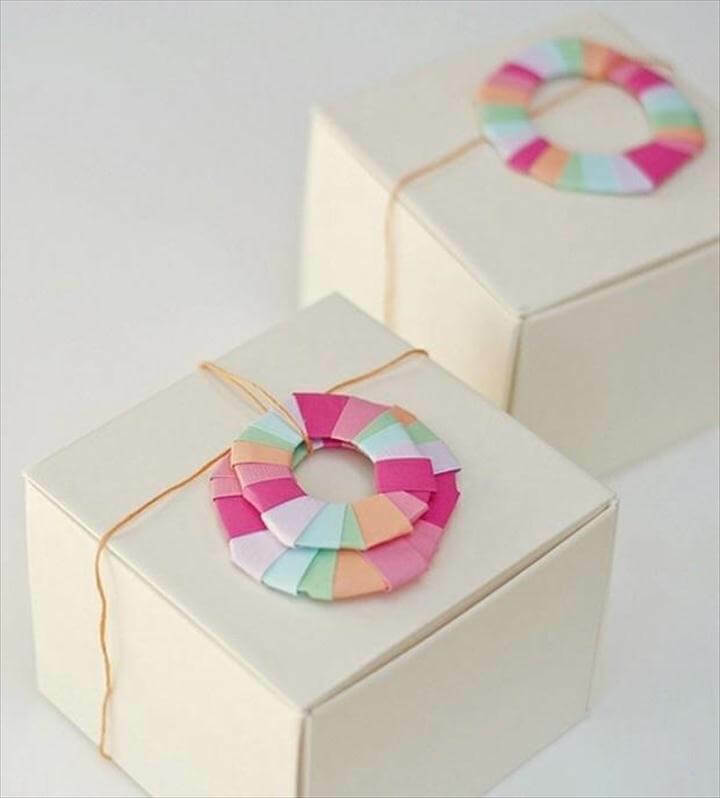 The next one that we have is basically a DIY last minute gift wrapping idea when you have nothing in mind but you only know how to do paper flowers so you can make some paper flowers and stick them on to your gifts in order to make the other person feel special about their special days. 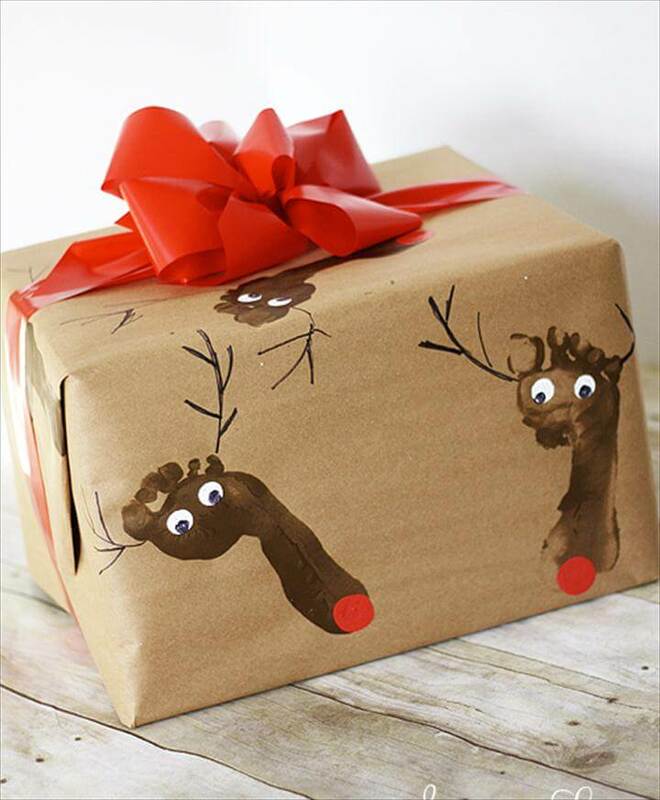 If you are planning for Christmas gifts you can wrap your gifts with the Santa theme as you can see over here. 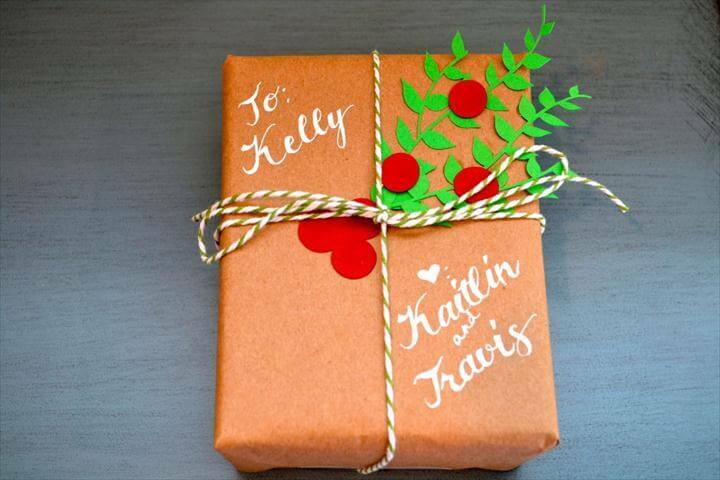 We can also play with the tags on top of our gifts so that they can look more and more interesting and tempting. 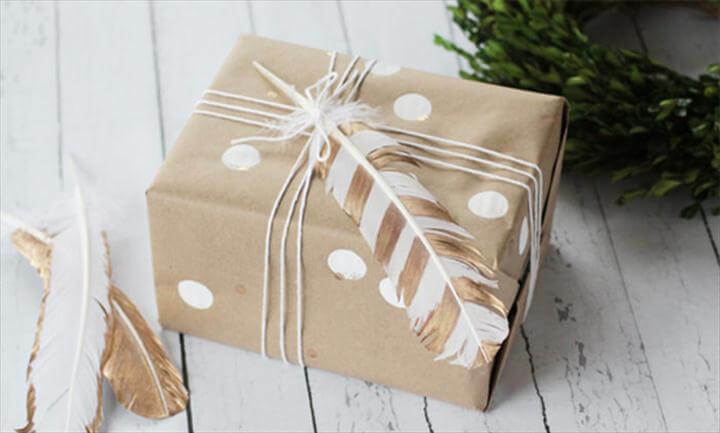 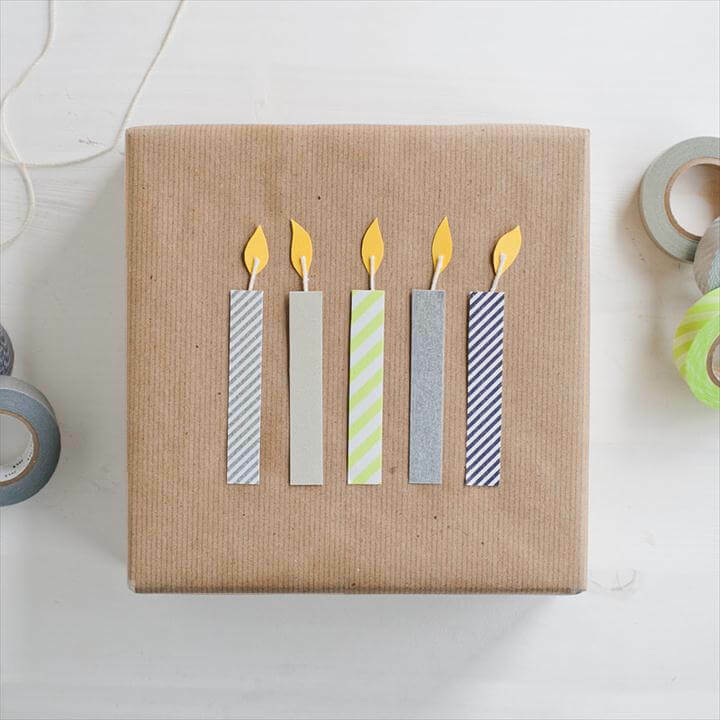 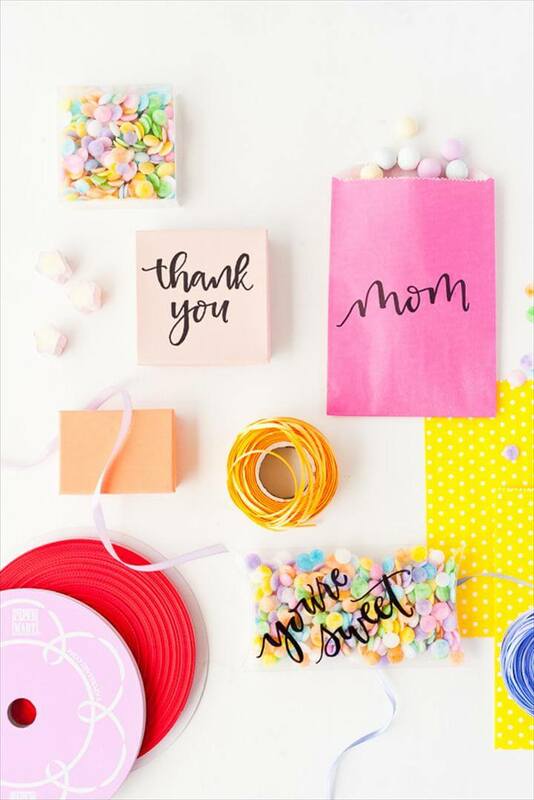 Besides all this you can simply select a simple brown wrapping paper and decorate it with some exciting and cool candles or any other thing crafted with the washy paper. 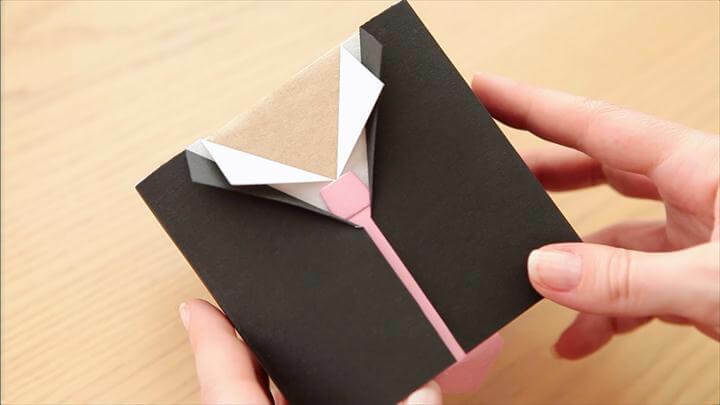 You can also customize your gift wrapping on the basis of gender of the other person that you are giving the gift to like here we have a dress shirt crafted on to the gift box if you are giving it to a male. 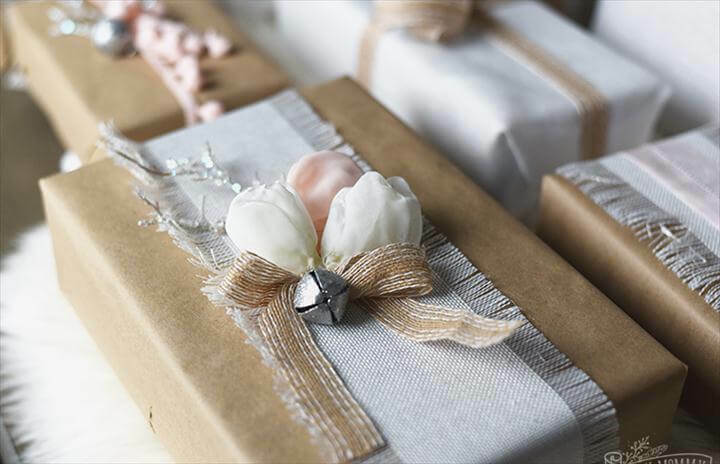 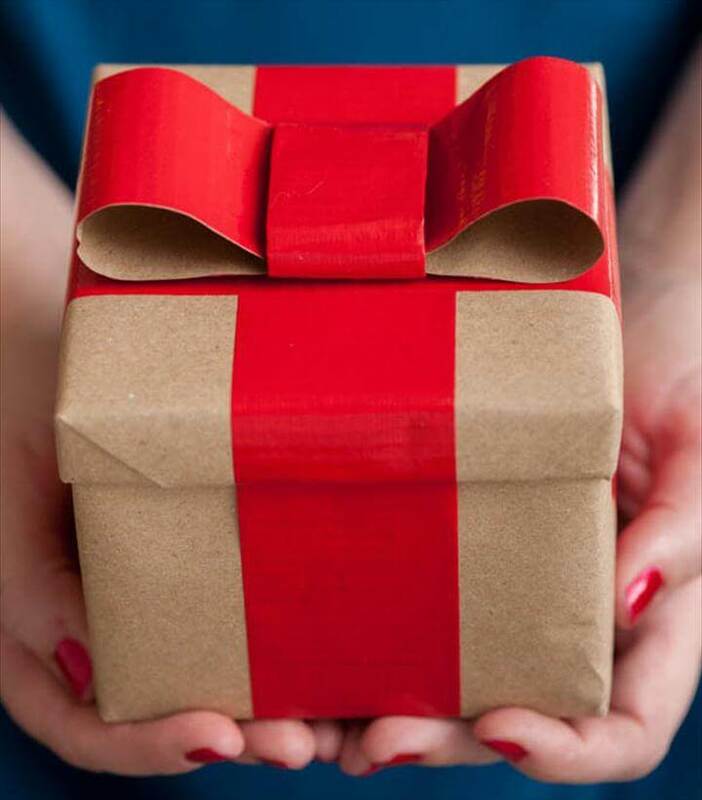 If you are so short of ideas and don’t feel like doing any crafting, just paint a bow on your simply wrapped plain colored gift. 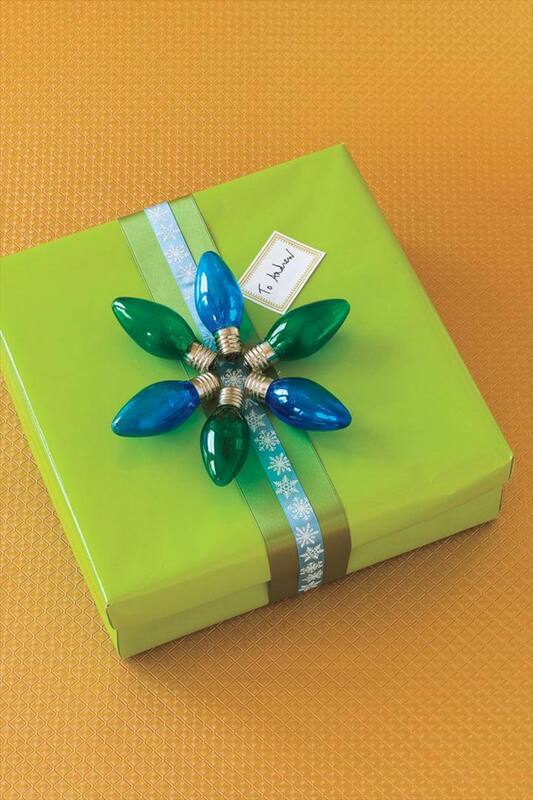 Here we have also sued a gold leaf for decorating your gift. 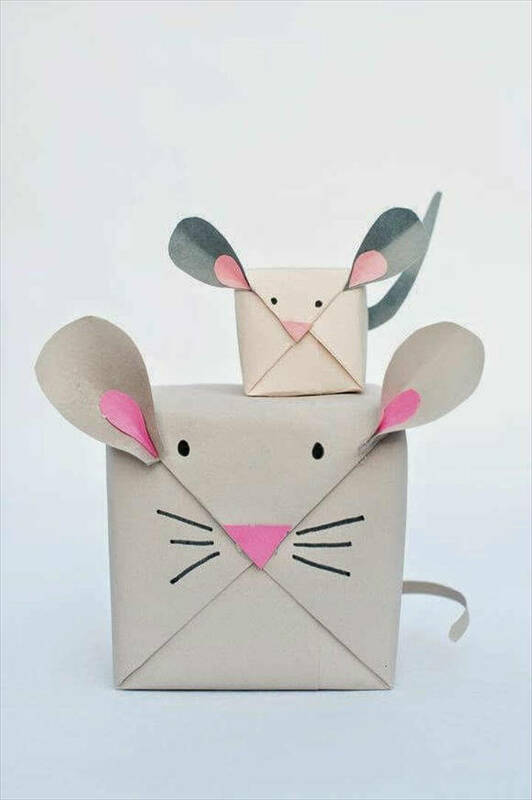 The next thing that we see over here is a mouse made with a gift wrap that really seems to be interesting for the kids. 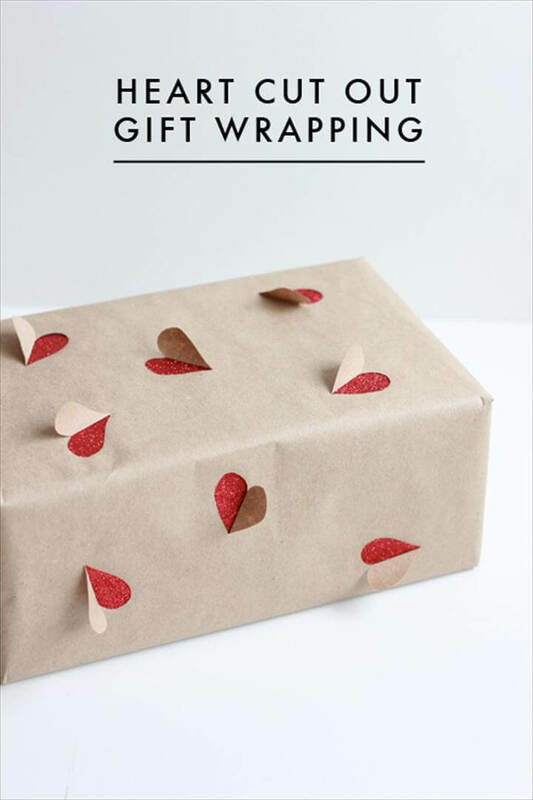 Also you can do heart cut out on your gift box that surprisingly looks adorable and smooth to the eyes. 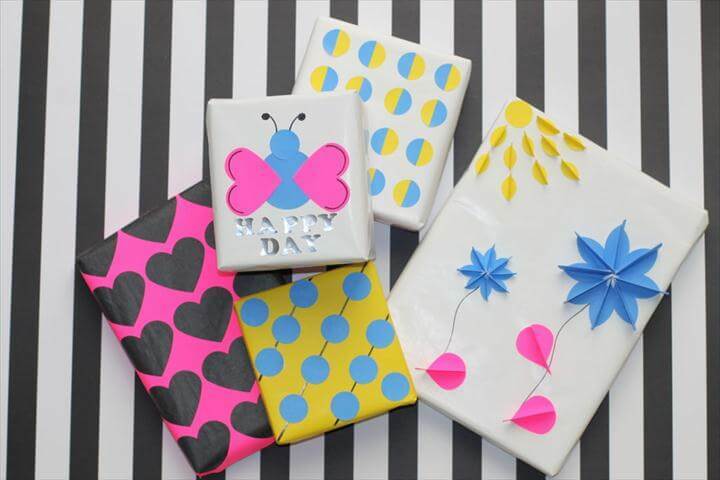 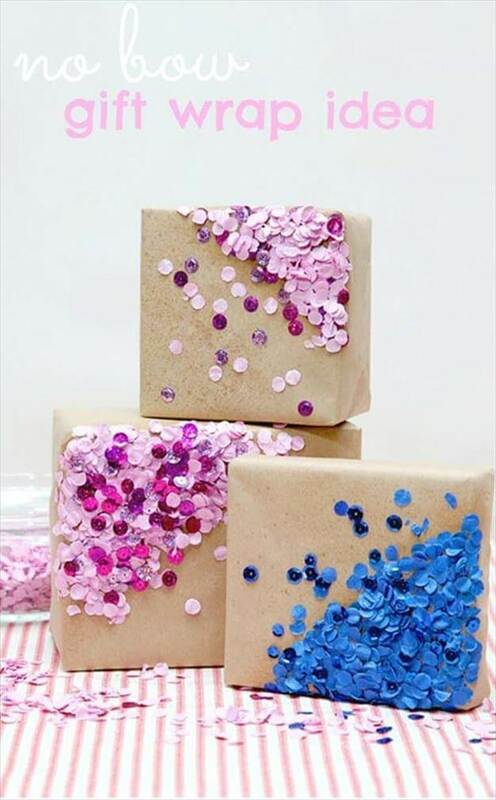 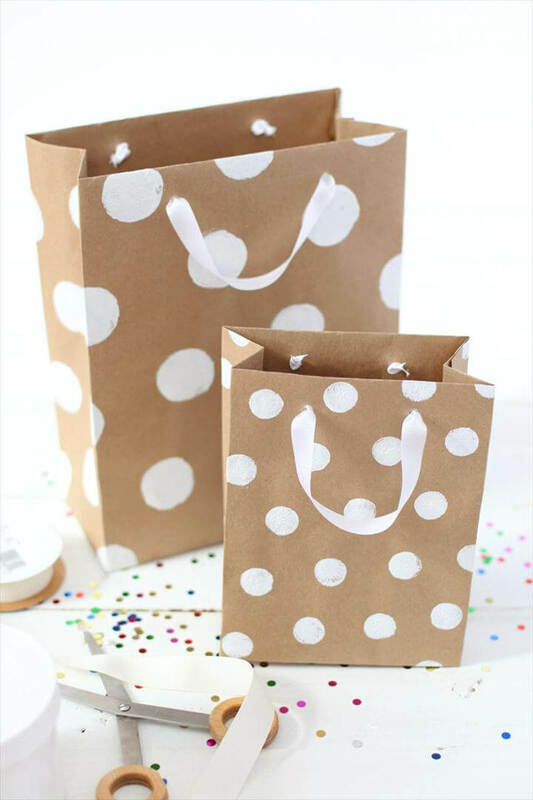 Try these wonderful and eye catching diy ecofriendly gift wrapping ideas and follow the links given below the pictures to find out how the projects have been done and what list of supplies have been sued in these projects.